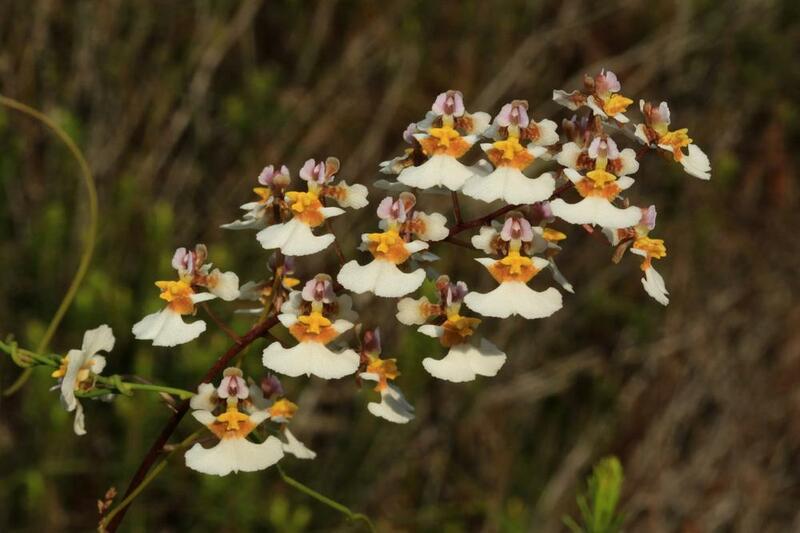 Tolumnia bahamensis, commonly known as Florida's Dancing Lady, is restricted to a small area of coastal scrub in southeastern Florida and the Bahamas. 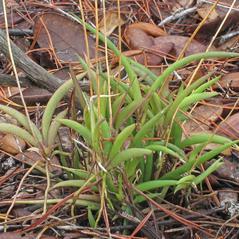 Plants consist of fans of 4-8 leaves with a serrated edge connected by a thin rhizome. 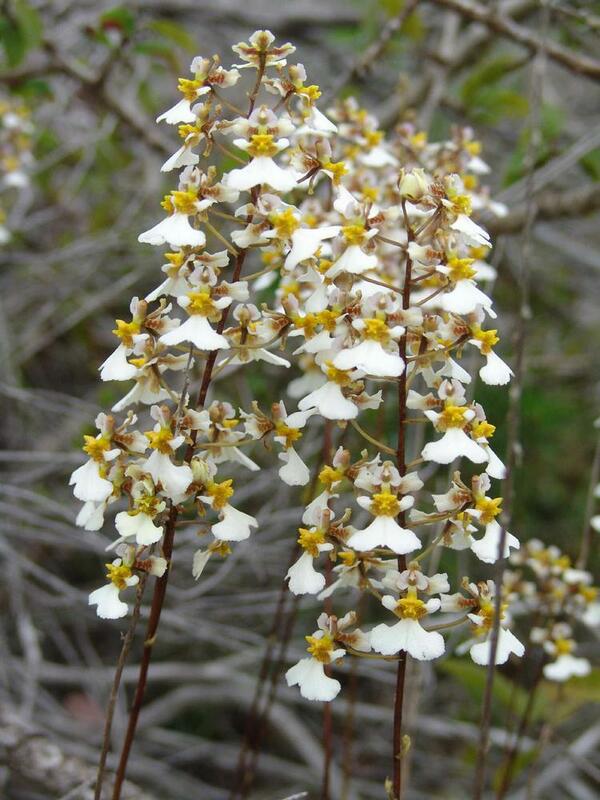 It bears an inflorescence of up to 50 flowers that are 2 cm in size and irregularly banded with yellow, brown, green and a white tip. 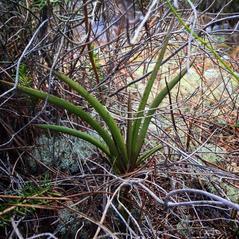 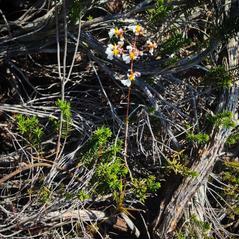 The white labellum is spotted and has a yellow callus. 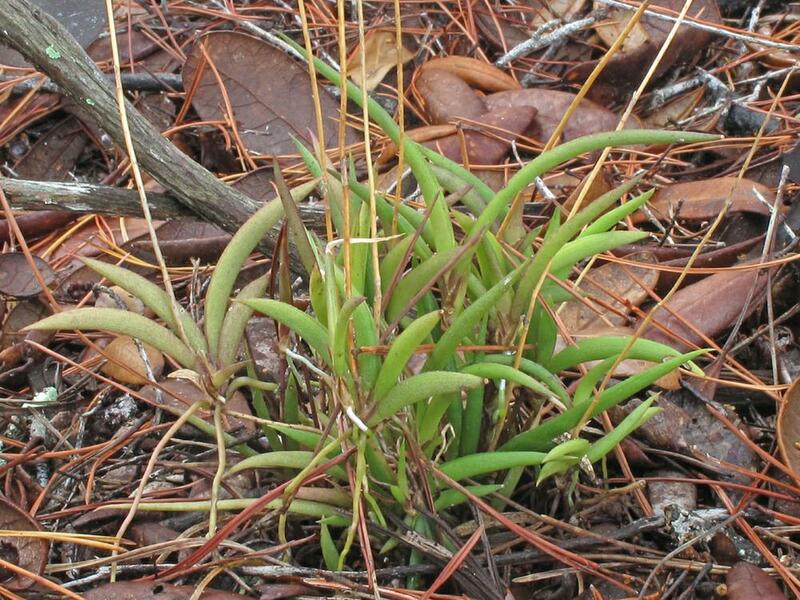 This orchid blooms in April and May and grows at the base of wild rosemary or palmetto scrub, or on pine twigs very low to the ground. 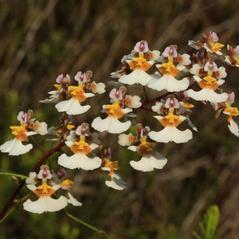 Tolumnia bahamensis is considered vulnerable across its narrow range due to its uncertain distribution in West Indies. 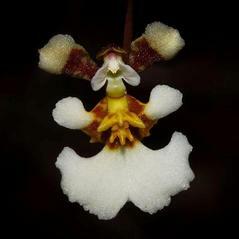 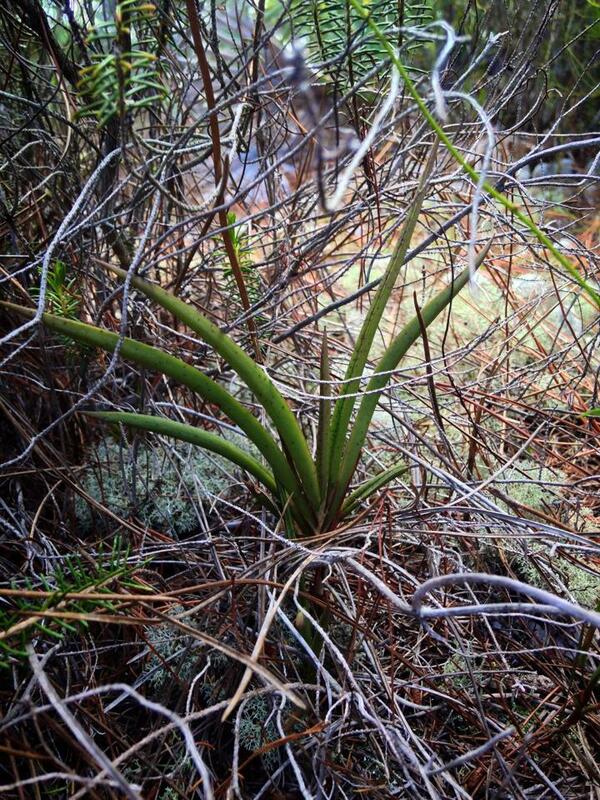 In Florida, this orchid is considered endangered where it is threatened by habitat development and illegal collection. 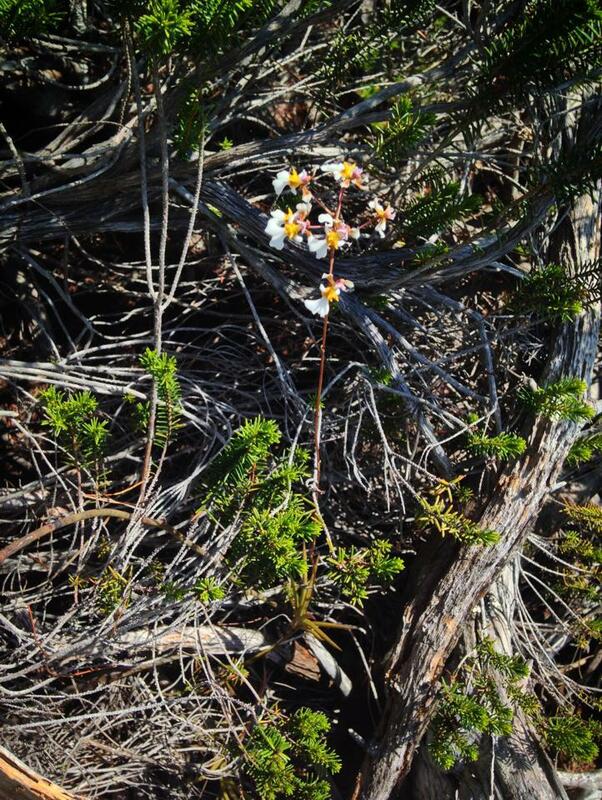 Conservation efforts are currently underway to reintroduce thousands of laboratory propagated plants into protected areas. 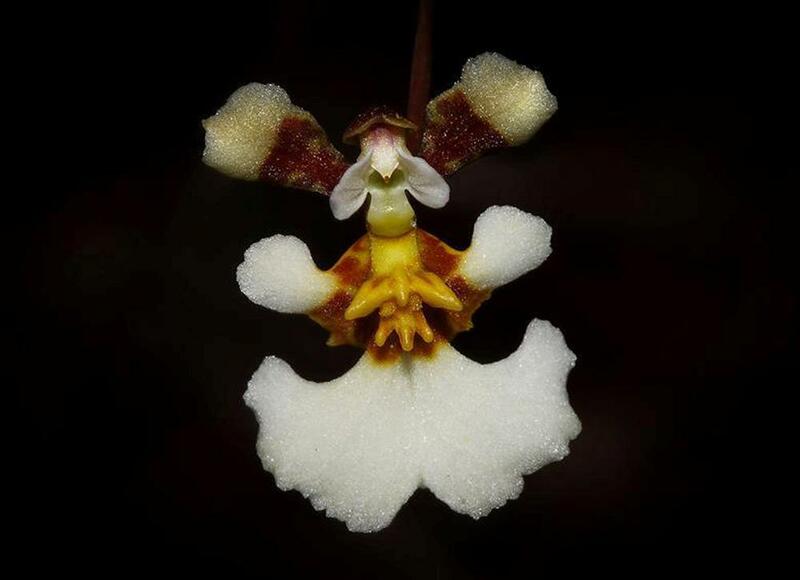 This orchid is pollinated by male Centris errans bees that mistake the flowers for other insects and attack them. 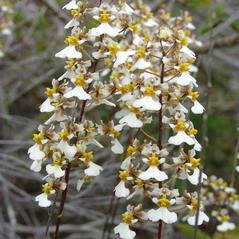 Pollinaria will often attach to the bee’s head during the encounter.